Тема в разделе "Long HYIP до 15% в месяц", создана пользователем All-HYIPs.info, мар 6, 2019. 16.04.19 04:33;Account;Receive;Received Payment 12.6 USD from account U18409805 to account U1294000. Batch: 256009065. Memo: API Payment. 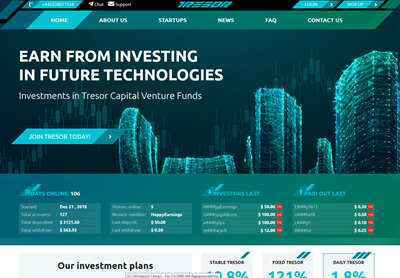 Withdraw to allhyips from TRESOR CAPITAL LTD.